I have been blogging under the name “A Wandaful Thing” for slightly over a year now and it’s been a lot of fun. 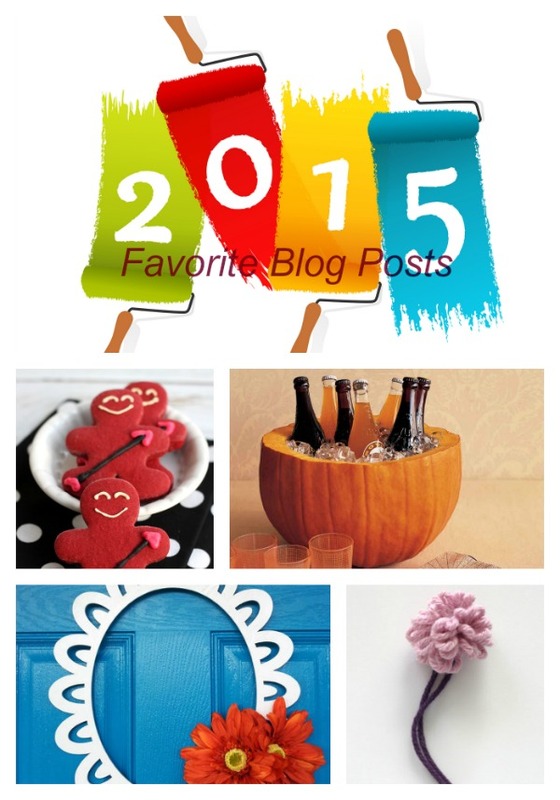 The following posts are my top 15 favorites for 2015. These posts (and those responsible for them) inspired me, helped me, challenged me and impressed me. Without further adieu…I hope you enjoy them as much I as did. 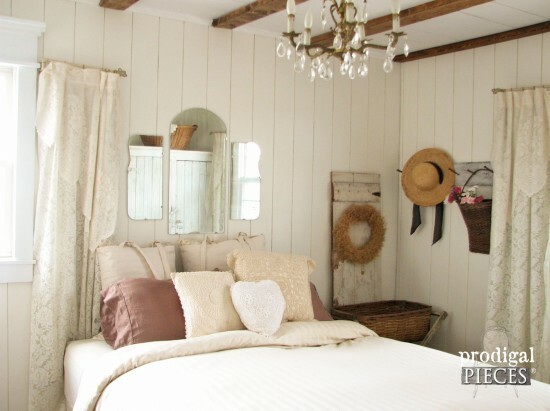 Farmhouse Master Bedroom redo from Prodigal Pieces – so many vintage pieces – LOVE IT!! 2. 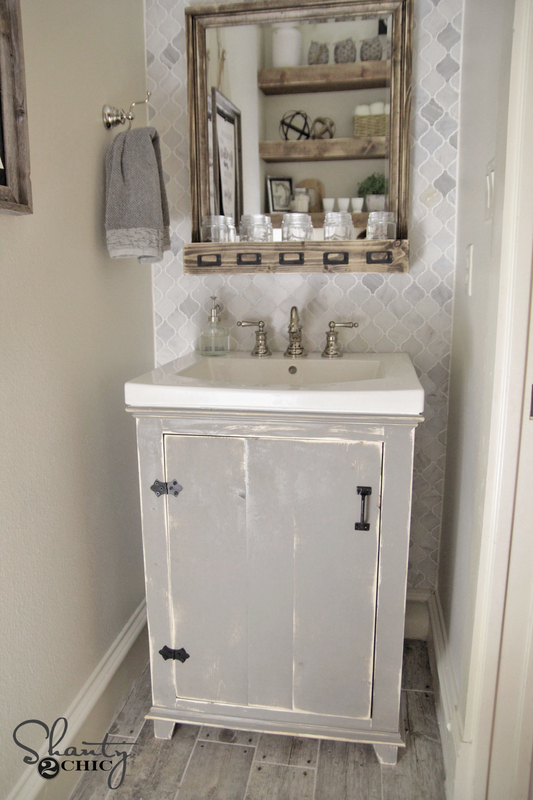 DIY Bathroom Vanity by Shanty 2 Chic – this post comes complete with downloadable building plans. 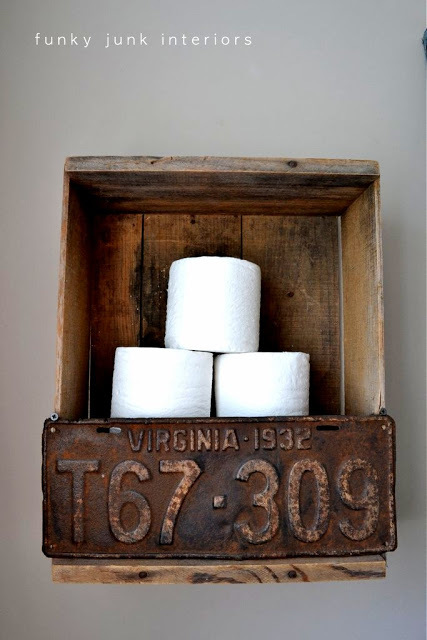 I simply adore this idea as my “only” bathroom is about this size and it has been hard to find a small vanity that will fit. I hope I am able to try this project in 2016. 3. 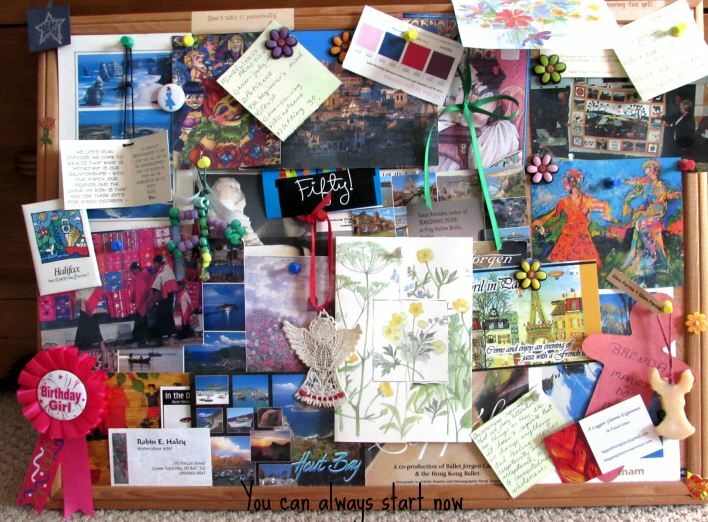 This inspiration board from is from my friend Amelia at You Can Always Start Now. I am envious of how full her board is but also inspired to make one of my own. 4. 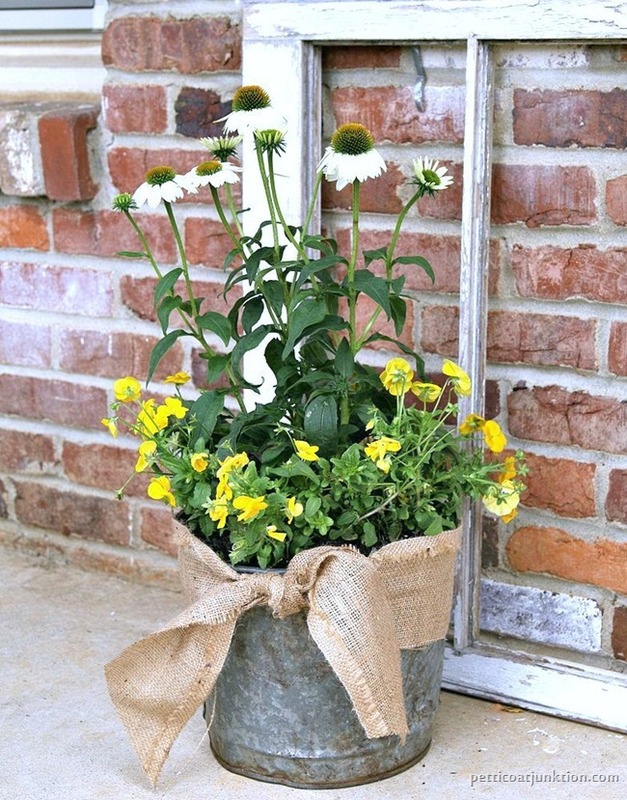 Old rusty bucket turned into a flower-pot from Petticoat Junktion – this woman makes so many cool things from vintage and flea market finds – you just have to check her out. 5. 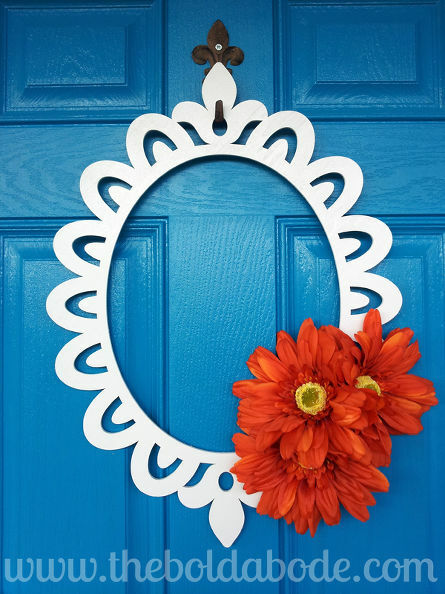 Under 30 minutes, easy, gorgeous Spring Wreath from the Bold Abode. 6. 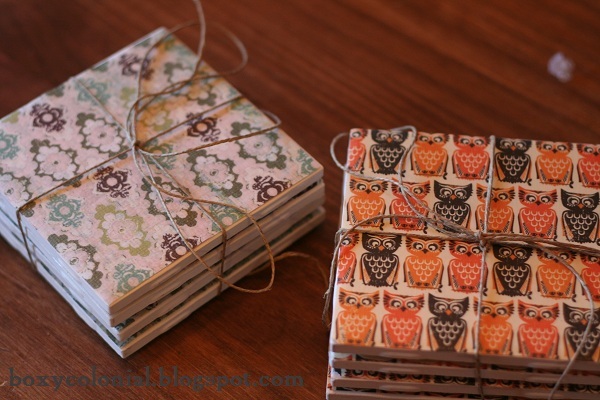 DIY coasters and tutorial from Gretchen at Boxy Colonial – she has them entitled coasters for Christmas but you could make them for any occasion – adorable. 8. 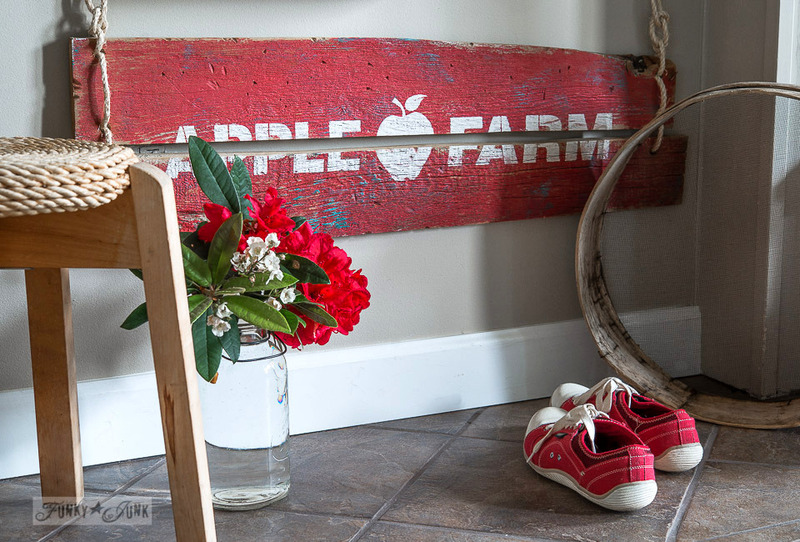 Apple Farm Sign with rustic twine also from Funky Junk Interiors – I purchased the stencils and have this on my 2016 project list. 9. 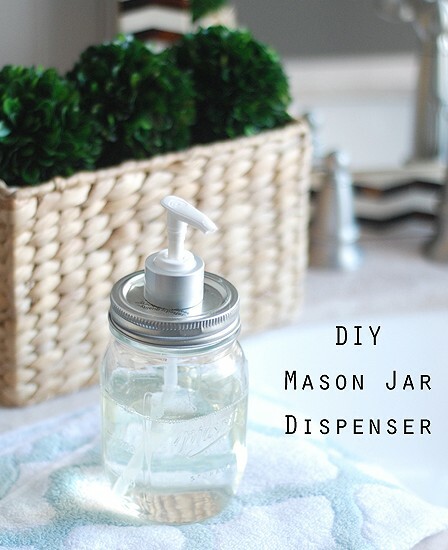 DIY Mason Jar Soap Dispenser from One Good Thing by Jillie – I’m a mason jar fan and I love this idea. Jillie provides step by step instructions, complete with pictures. 10. I am not only about vintage and recycling, I also love to bake. 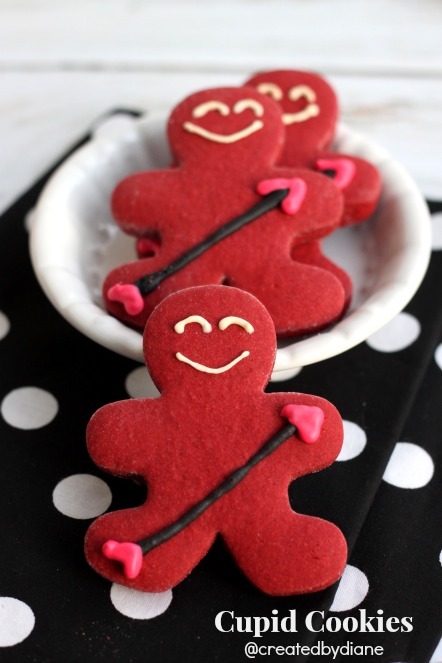 These cookies scream romance to me – Cupid Cookies created by Diane are perfect for Valentine’s Day. 11. While I am on the topic of Valentine’s Day – this edible cookie plate I made earlier this year was one of my favorite projects. You can even eat the dishes! 12. 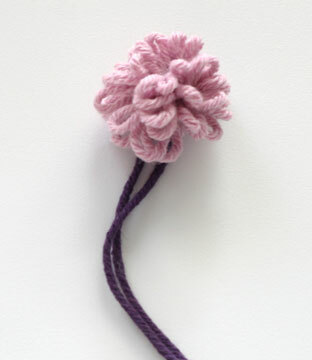 Mother’s Day Dandelion Fork Flower by Craft Sanity – I have made several of these and everyone loves them. You can watch the youtube tutorial for full instructions. 13. 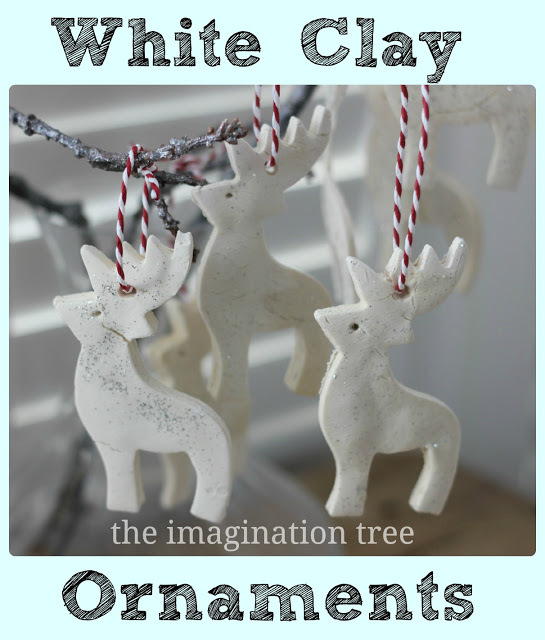 White Clay Ornaments by The Imagination Tree complete with tutorial. These are beautiful and once again could be adapted to any occasion or season. 14. 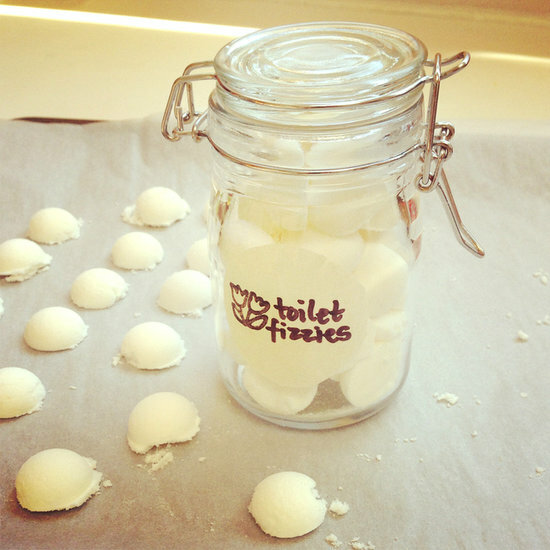 Refresh Your Commode With DIY Toilet Fizzies from Pop Sugar. 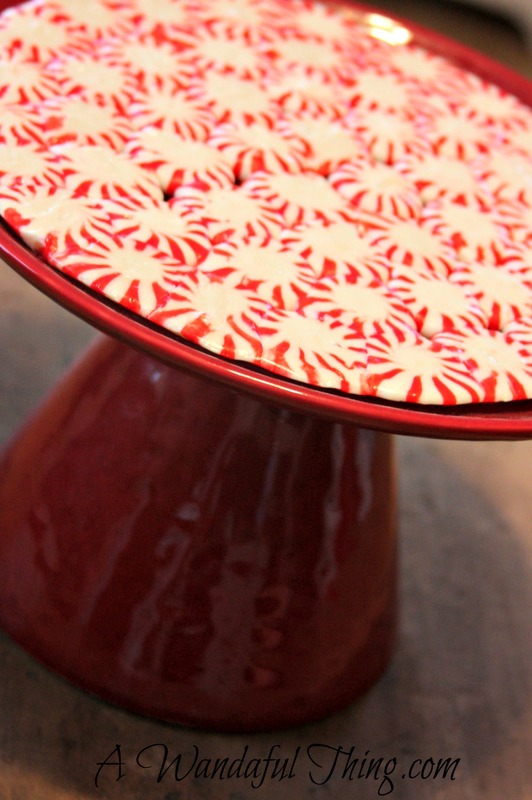 Such a great idea – check out the site for complete instructions. 15. 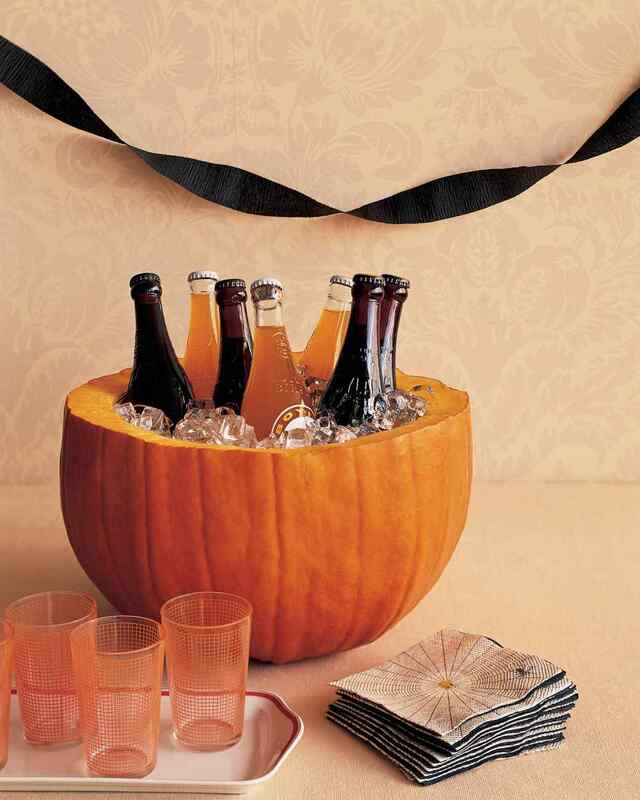 Last but not least a Pumpkin Party Cooler from who other than Martha Stewart. You don’t need a fairy godmother to turn a pumpkin into an ice bucket. This is such a fantastic idea, I will definitely be doing this next year at Halloween. It was not easy picking only 15 posts for this article. There are so many talented folks out there in blogland. I am looking forward to a New Year of learning, crafting, blogging and collborating. I would enjoy seeing what your favorite blog posts were. Feel free to link them up here! Sharing ideas ….It’s A Wandaful Thing! This entry was posted in DIY and tagged 2015, A Wandaful Thing, best of, best of 2015, Blog, challenge, guest blogger, Guest Posts, halloween, ideas, inexpensive, living, My Favorite Blogs, paint, pumpkin, recycle, repurpose, reuse, ribbon, simple, tablescape, Valentine. Bookmark the permalink. Great ideas. Thank you for including me in such an incredible list of talent. It has been a great year and looking forward to 2016 with you!